The opening Allegro moderato of String Quartet No. 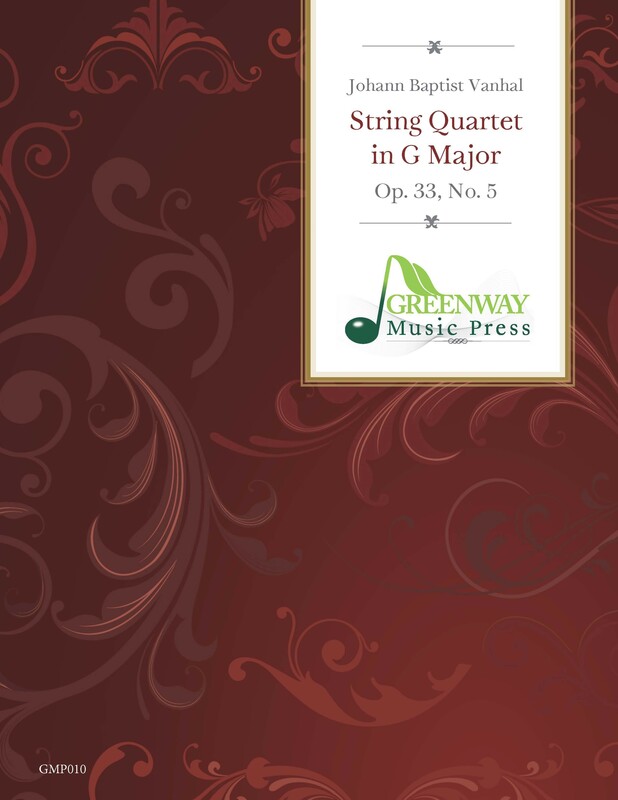 5 in G Major has a sprightly main theme that is announced with aplomb by double and triple stops in the violins each time it appears. The binary dance movement that follows presents a minuet and trio that are titled “Arietta I” and “Arietta II,” respectively. In the third movement, Adagio, the first violin is accorded special prominence given the pizzicato accompaniment of the other parts. The Allegro finale is in sonata form and could be called “monothematic” in that the first theme returns to open the second theme group; it also exhibits Vanhal’s penchant for wide downward leaps in the first violin, the last of which covers three octaves and a fourth.